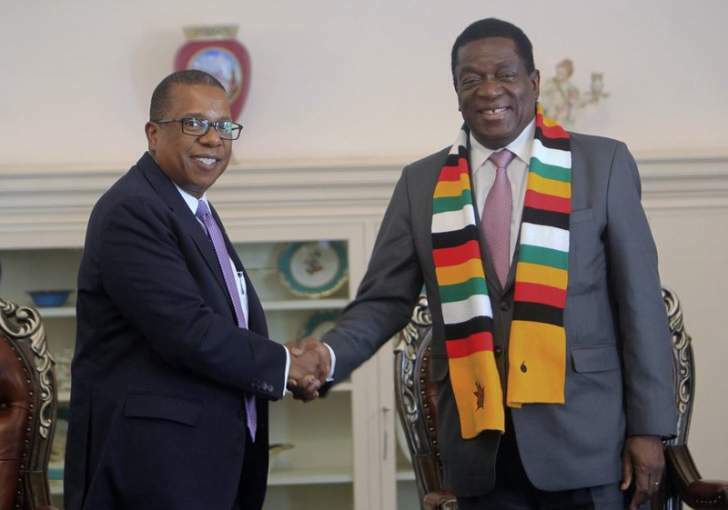 ON April 3, I gave President Emmerson Mnangagwa a letter from my government conveying the heartfelt sympathy of the American people for the lives lost in Cyclone Idai. I also announced that the American people had donated $2,6 million in assistance to disaster victims. The United States cares deeply about the Zimbabwean people. We work diligently to expand economic linkages between our countries. Since my arrival in Zimbabwe, the US Embassy has promoted business between Zimbabweans and dozens of American enterprises, including three Fortune 500 companies. US firms recognise Zimbabwe's tremendous potential and praise the country's educated workforce and bountiful natural resources. At the same time, American investors remain cautious about Zimbabwe given decades of harmful political and economic policies. Investors want to see concrete action on policies that will make Zimbabwe a more democratic and prosperous nation. Investors express concern about transparent regulation and rule of law, access to foreign exchange, and ending human rights abuses. The violence in August 2018 harmed innocent citizens and damaged the country's reputation and its economic prospects. Zimbabwe's justice system must hold the perpetrators accountable as the Kgalema Motlanthe commission of inquiry recommended. This January's violence against protestors, opposition politicians, and labour leaders stood as a stark reminder that Zimbabwe must urgently reform its security forces. To gain the confidence of investors, Zimbabwe should bring all laws into compliance with the 2013 constitution and hold those responsible for ordering the violence in January to account along with the perpetrators of last August. The US aspires to a deeper partnership with the Government of Zimbabwe to expand trade and investment. Political and economic reforms are key. Zimbabwe has moved to repeal the Public Order and Security Act (Posa) and the Access to Information and Protection of Privacy Act (Aippa). Any successor legislation should clearly state that deployment of the Zimbabwe Defence Forces is a last resort and security forces must be under effective accountability mechanisms. Completing these initiatives and restoring immutable guarantees of constitutional rights for Zimbabwean citizens will build international confidence in the new Zimbabwe and open doors to greater prosperity. Some people would like to blame US sanctions for Zimbabwe's economic crisis. However, the US does not seek to harm the Zimbabwean people; US sanctions target their abusers and oppressors. There are currently 84 individuals and 56 entities on the list. The purpose is simple: to hold accountable human rights violators and corrupt individuals, and signal that the US will not turn a blind eye on those who undermine Zimbabwe's constitution and democratic institutions. These narrow and limited sanctions do not restrict commerce between the US and Zimbabwean firms. Many people confuse the Zimbabwe Democracy and Economic Recovery Act (ZDERA) with targeted sanctions. This is a misunderstanding. ZDERA requires the US to vote against new international lending through the World Bank, International Monetary Fund (IMF), and other financial institutions - nothing more. Zimbabwe is already ineligible for new loans due to its default and prior unpaid debts, the US has never voted to block an international loan to Zimbabwe. Thus ZDERA is simply a roadmap to a peaceful, democratic, just, and prosperous Zimbabwe and aligns with the commitments Mnangagwa has made throughout his tenure: economic reforms, legal and transparent land reform, harmonisation and implementation of the 2013 constitution, free and fair elections, good governance, and respect for the rule of law and human rights. No patriotic Zimbabwean would argue against these, and it is completely within the Government of Zimbabwe's power to achieve these goals and justify the removal of ZDERA. If there is any question about how a government goes about enacting reforms, one need only look at the case of Ethiopia. Prime Minister Abiy came into office on April 2, 2018. He moved for an early end to the state of emergency in his country and embraced the private sector in a bold shift toward a market economy to unlock the country's potential. As part of his reform agenda, Ethiopia has made headway in fighting corruption, and now requires all government officials to register their wealth and personal property - he and the Ethiopian president registered their assets, leading by example. Fifty percent of his cabinet appointments were women and he swore in his country's first female Supreme Court president. In less than one year, his government enacted changes to the civil society law and introduced media, electoral, counter-terrorism, and commercial code reforms. Abiy has prioritised political inclusiveness. He dramatically changed the government's posture toward the opposition, seeing them as well-intentioned competitors, not the enemy. He released the majority of high-profile prisoners and welcomed back exiled opposition groups. His administration has also increased the space for independent media outlets to open with ease. These transformational steps have attracted international attention. Zimbabwe can absolutely achieve similar reforms, building business confidence and ushering in foreign investment. US companies want to trade and invest more in Zimbabwe, and I want to help them do so. Many firms are waiting and watching, and when I ask them why they have not invested in Zimbabwe yet, they do not mention sanctions; they worry, instead, about Zimbabwe's economic policies and political instability. The solution to these concerns is simple - Zimbabwe must accelerate on the path to reform. Nichols is the US ambassador to Zimbabwe.